We are leading manufacture of Pink Stone Cobbles. 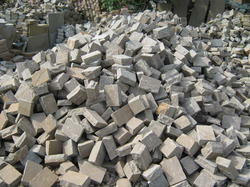 - We can also supply stone cobbles in various other sizes and specifications to fulfill individual customer requirements. We are providing to our client Cobbles Stone. Due to high demand, experts make this product in varied patterns. 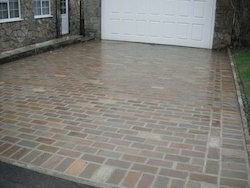 We are the leading organization in the industry to provide our clients the best quality array of Natural Cobblestone. Keeping in mind the diverse requirements of our clients we are involved in offering an ample range of Kandla Multi Cobblestones. The complete range of our products is manufactured by our reliable vendors using premium grade base material and advanced technologies. These are available in various shapes as per the clients choice. The range of mint cobbles that we are offering is generally used for pavements, landscaping, outhouses, pool-sides, driveways etc. and are sold in metric tons. We have with us hand chiseled sandstone & limestone cobbles in finer shades of mint. - Available in Sizes(in cms): 10 x 10, , 15 x 15 x 10, 15 x 20 x 10 and as per clients’ instruction. Our esteemed and valuable clientele can avail a large array of Natural Cobblestones from us. Our qualitative range of these cobblestones is available in many different specifications and at most economic rates in market. These stones are finely polished and processed under the leadership and assistance of the industry experts.